There are two types of seven-passenger crossovers: those that feel as bulky and unwieldy as their size and curb weight suggest, and those that manage to mask their ungainly proportions through a well-damped yet agile chassis and adequate, linear power delivery. 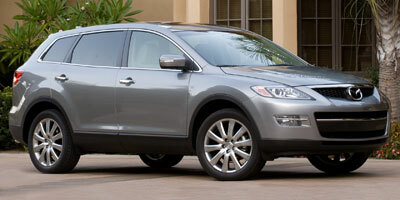 The 2009 Mazda CX-9 would fall into the latter group. Considering the dynamic abilities of its little brother, the CX-7, it doesn’t come as a complete shock that the CX-9 is surprisingly capable. At the same time, it has room for seven passengers and available all-wheel drive for those who deal with adverse conditions on a regular basis, as well as a host of onboard technology such as voice-activated navigation and Bluetooth. If you’re a “best of both worldsâ€ type of driver, look no further. The CX-9’s ability to soak up bumps while retaining nimble (for its size) handling is impressive and few road imperfections agitate the chassis. Its exterior style has enough slants and curves to tickle your inner enthusiast, but inside, sporty gauges, a three-spoke steering wheel and simple, angled dash take the game to a whole new level. Front-wheel drive doesn’t suit an SUV of this size very well, and at a premium of just $1,400, all-wheel drive should not be overlooked. Don’t expect to store much of anything in the trunk if you’ve got the rear seats up, and if you’re sitting in them, don’t hope for an abundance of legroom. You wouldn’t expect a 4,300-lb crossover to thrill you to death. In fact, you’d probably expect life to get quite dull once the road goes from straight highway to winding two-lane, and that’s where the CX-9 will surprise you. The steering is expectedly light with an artificial feel to it, but gone is the stereotypical on-center dead zone and lack of accuracy. 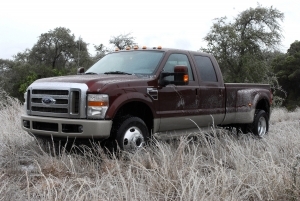 The suspension is firm yet forgiving, and unlike most front-wheel drive vehicles, no kickback is felt through the steering when one of the front wheels crashes through a pothole. Power delivery is adequate across the rev range with plenty of passing power at the top end, while the brakes contain enough grunt to bring the CX-9’s mass down to speed. Unlike most full-size SUVs, the CX-9 doesn’t rely on V-8 power, but instead uses a 3.7-liter V-6 to motivate it along. The engine produces 273 horsepower and 270 lb-ft of torque, which is transmitted to the front or all four wheels via a six-speed automatic transmission with manually selectable gears. Seat heaters are always a nice perk when clambering into a cold car in the morning, though be warned the items in the CX-9 only have one setting, and the heat can become scalding over longer periods of time. An intermediate setting would be a nice addition. Three zone climate control has the ability to maintain different temperatures in the front, back and rear seating areas, and best of all it’s automatic, so you can just set the temperature and forget about it. “I’m too cold back here!â€ complaints, be gone! Mazda’s voice-activated navigation system is intuitive and easy to use, and features Bluetooth connectivity for hands-free calling and wireless music playback. The seven-inch touchscreen sits in the dash above the climate controls, creating a simple, fluid flow to the center console. Passengers with little patience for long drives will appreciate the available rear entertainment system featuring a nine-inch DVD monitor, 11-speaker Bose surround sound system and wireless headphones. Even employing V-6 power can only get a two-ton-plus vehicle so far on each gallon of gasoline, and the CX-9 just barely manages to average over 20 mpg on the highway. The front-wheel drive CX-9 returns 16 mpg city, 22 highway, while equipping all-wheel drive will see those figures drop by one mpg each. Still, you can take some solace in the fact that the ULEV rated engine isn’t a heavy polluter. Attractive red gauges with blue surrounds greet the driver, and the Grand Touring model features supportive and comfortable two-tone leather power seats. The seating position isn’t too high, and if it weren’t for the elevated platform you might think you’d just climbed into a sport wagon. The navigation touchscreen is flanked by wood and aluminum accents, giving the dash an aura that’s sophisticated, yet simple and attractive. The CX-9 manages to throw enough curves and angles at your visual cortex to come off as mildly sporting, a tall order given its ungainly proportions. A high, flowing waistline begins at the front grille, creating a tapered effect as it moves towards the back of the vehicle, where twin exhaust pipes and squinty taillights complete the package. At first glance, the CX-9 Grand Touring’s MSRP of $34,475 might seem somewhat steep, but when you consider all the extras you get over the standard CX-9 Sport, which goes for $30,490, it’s quite a bargain. It goes up against the $27,500 Toyota Highlander, $28,255 Chevrolet Traverse, $28,550 Ford Flex, $27,695 Honda Pilot and the $29,995 Subaru Tribeca. The Mazda CX-9 is nothing short of a revelation in large crossover design. Its responsive controls and ample power conspire to conceal its size and weight, and only the Ford Flex has a hope of besting it in the style department. We find it refreshing that as an overall package, it’s able to retain plenty of seven-seat utility while not boring you to tears at the same time.